SEATTLE – World industry leaders in wood materials will gather in Seattle this week to discuss the role of woody biomass for production of biofuels in addition to composites. Emphasis will also be placed on the use of woody biomass for eventual production of jet biofuels. 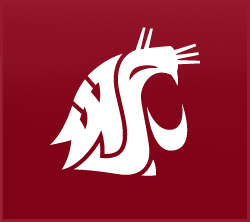 Washington State University’s International Wood Composites Symposium is collaborating for the first time with the Northwest Advanced Renewable Alliance (NARA) to present “Managing the Woody Biomass Supply Chain – Impact on Your Business” on April 11-13. The symposium will focus on global trends, competing demands and opportunities in the woody biomass supply chain and its impacts on business success. For almost 50 years, WSU’s Composite Materials and Engineering Center (CMEC) has hosted the annual symposium, an industry-focused forum for wood composite panel/engineered wood product producers, suppliers and researchers. Participants come from more than 20 countries. With support from NARA, this year’s symposium will focus for the first time on the latest developments in the fields of biofuel and bioenergy as well as on wood and wood-based composite products. Earlier this fall, NARA, a broad alliance of private industry and educational institutions led by WSU, received a $40 million grant from the U.S. Department of Agriculture for the development of aviation biofuels and petrochemical substitutes. The grant aims to address the urgent national need for a domestic biofuel alternative for U.S. commercial and military air fleets. NARA researchers envision developing a new, viable, aviation fuel industry using wood and wood waste in the Pacific Northwest where forests cover almost half of the region. The project also will focus on increasing the profitability of wood-based fuels through development of high-value, bio-based co-products to replace petrochemicals that are used in products such as plastics. Symposium agenda topics will include future demands for woody biomass; new products, markets and processes for biofuels, bioenergy and composites; pretreatment and conversion strategies for biofuels; and advances in composites technology. Those attending the event will include leaders from the forest products and forest operations industries and wood composite industry, federal land resource managers, policy makers, and biofuel and bioenergy users and producers. The event will take place at the Red Lion Hotel on Fifth Avenue in Seattle. For more information regarding the symposium, visit woodsymposium.wsu.edu. For more information regarding NARA visit nararenewables.org.